Need a header very soon - flex pipe in mine going bad. Comptech or CT Engineering preferred. If not, it at least hast to fit in the factory location - i.e. no PLM or anything else that needs test pipe, etc. 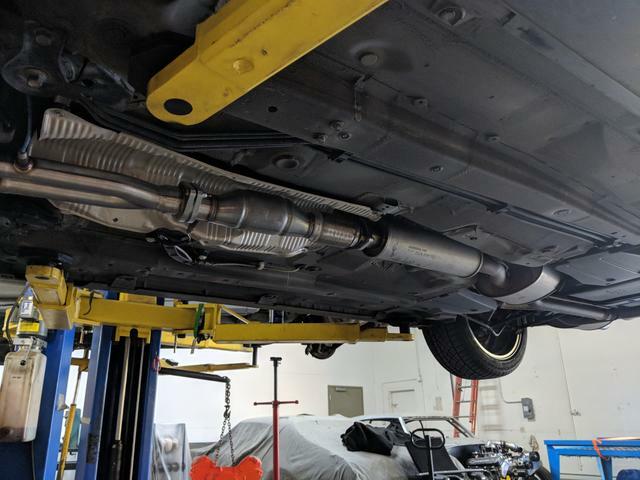 PLM with a magnaflow cat and flex pipe instead of test pipe. Make sure you either install a second 02 bung so pre and post on the collectors or wait until you tune it to use a single pair. I would like a 4-2-1 header that fits in the stock location. I have an el-cheapo TopSpeed header that fits the stock location. Never used. New was $200, I guess I could sell it for $150 shipped. It's a copy of the DC header. Never tried to install it. Thank you. At this point either a stock part or a used comptech would be preferred.